One of the most desirable features in a home security camera system, is the ability to access your cameras from your phone. We know how important this is, because we have been doing this since the days of the flip phone - REALLY. Back in those days, no other brand of home security camera system even dreamed of that level of remote access, giving our customers features that would WOW. 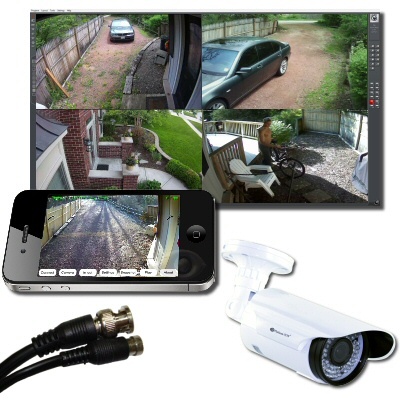 Fast forward to today, and iPhone access to home cameras is almost a requirement for most systems. This is great, because everyone with an iPhone would love to be able to quickly connect in, see their childrean, watch the nanny or babysitter, make sure elderly are getting proper care or even just check in to make sure the garage door was shut when you left home. However, there is a big difference in functionality between systems which should be considered when selecting a security camera system for your home. Many camera systems are the same old hardware that they have been selling for years, and just add remote access functionality for phones on top of that. What this means to you, is that hardware that is designed just to process the video and record it onto a hard drive, is now trying to push the video out over the internet for your access = slower video with greater lag time. Our AVM systems were designed with remote access from phones in mind from the beginning and we continue to evolve this access to ensure instant, real-time remote access to your cameras. This way, you always see what is happening now, with added features to ensure your home cameras will become your eyes and ears. These AVM systems have 1000's of times the processing capabilities of a cheap standalone DVR, it is exactly like comparing a 486 processor from the 80's to todays i5 or i7 CPUs!
. 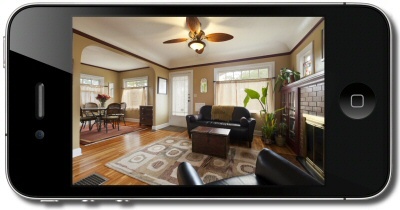 Our new WiFi-Enabled Nanny cameras let you watch your home or office remotely from your iPhone, Android, PC or Mac. So prior to selecting your new home security camera system, or upgrading your existing system, consider not just that your system have "iPhone Compatibility" but also the features that are offered by the system.